The WWDC keynote came and went with no mention at all about any Apple hardware, which, frankly, was to be expected. No company can really keep anything under wraps anymore, especially Apple. So, it was hard to believe that the announcement would jump out with no leaks preceding it. Of course, that means it is time for analysts to start putting in their predictions for the iWatch release date and pricing! ...initial production of certain ‘iWatch’ components is scheduled to begin later this month and there are plans for a sharp acceleration into fall. Given the trajectory of this ramp and our experience analyzing other product ramps at Apple, we expect the ‘iWatch’ to be unveiled with the iPhone 6 in September. That is basically just about the longest trip you can make for a pretty easy guess, especially considering the iWatch will likely require an iPhone with iOS 8 to function, and iOS 8 isn't out until the fall. We didn't really need any supply chain info to guess that the iWatch is most likely coming this fall, just like we don't need the same supply chain info every year to tell us that Apple will release its new iPhone in September. At this point, we're more surprised when info points to Apple releasing mobile hardware anytime of the year other than September/October. That said, the guesswork on pricing is much more interesting in this case. Rumors about the iWatch pricing have varied wildly, but White is putting his estimate in the $200-230 range. That makes the iWatch far cheaper than many have been expecting, and it would price the iWatch significantly less than the Samsung Gear 2. That price range would make more sense if the iWatch is planned more as a health tracker than as a fashion accessory, as you might expect from Apple. Anyway, we only have a few months left before real information could be coming. But, that does mean a few more months of the endless rumor mill. My protein powder shaker predicted this last week. Lol, I bought 5 from walmart two weeks ago. I love em, no clumps at all bro. That metal ball, beats a strainer any day. 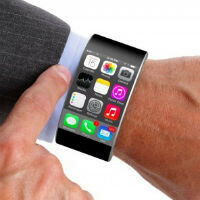 thats a 4 to $500 dollar iwatch..not less than a gear but less than a iphone..lol.. I figured that out a while ago. Him, and Arte are the two biggest trolls on PA, spouting crap constantly. Im a troll that trolls the trolls. Justice Troll? That's what pisses them off. Arte is the worse, at least network can spell, and properly punctuate.